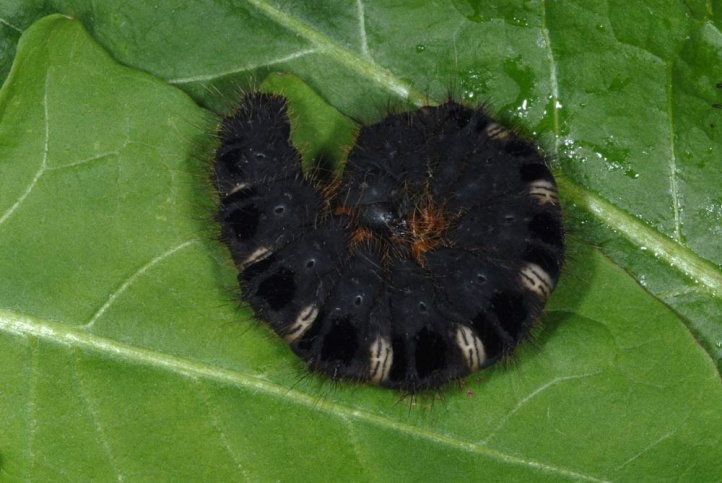 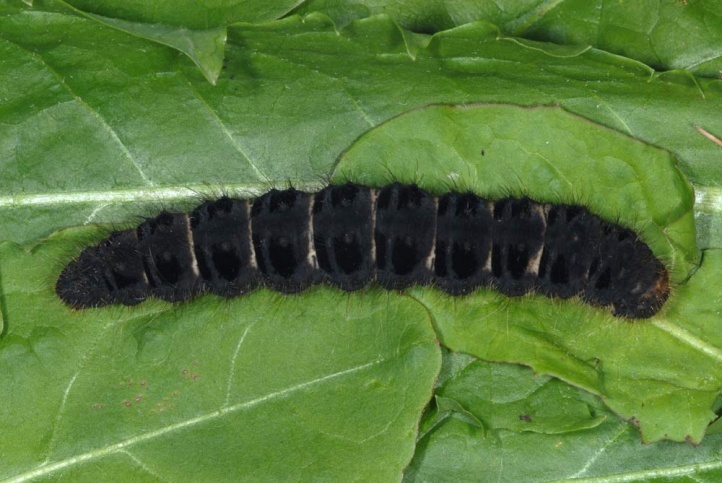 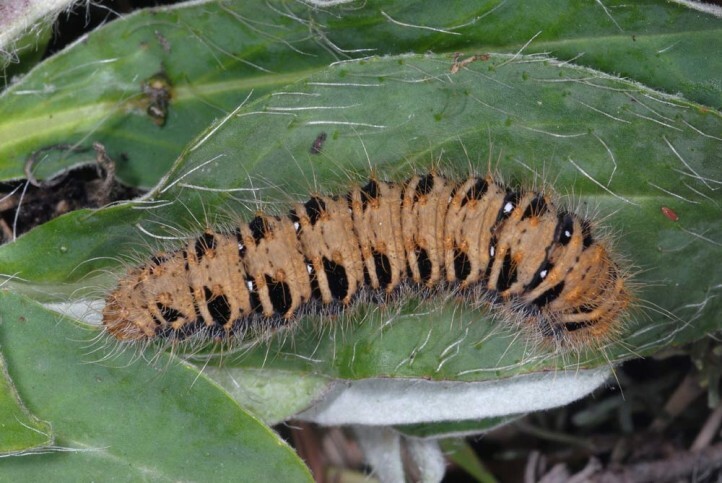 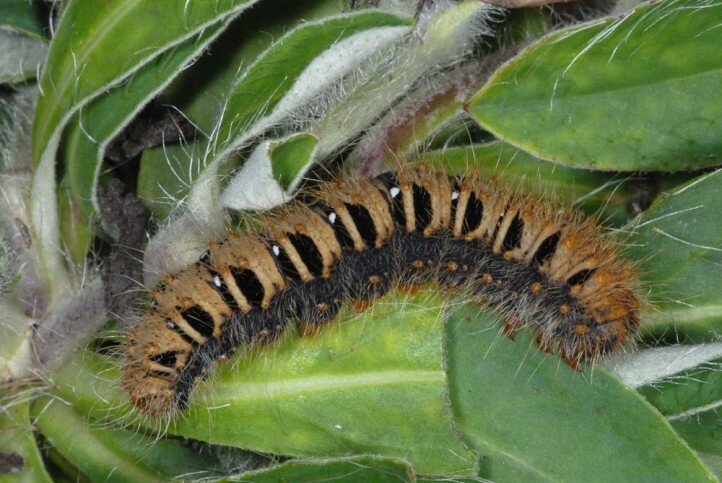 The caterpillars are polyphagous, but prefer Asteraceae (Taraxacum, Leontodon, Senecio). 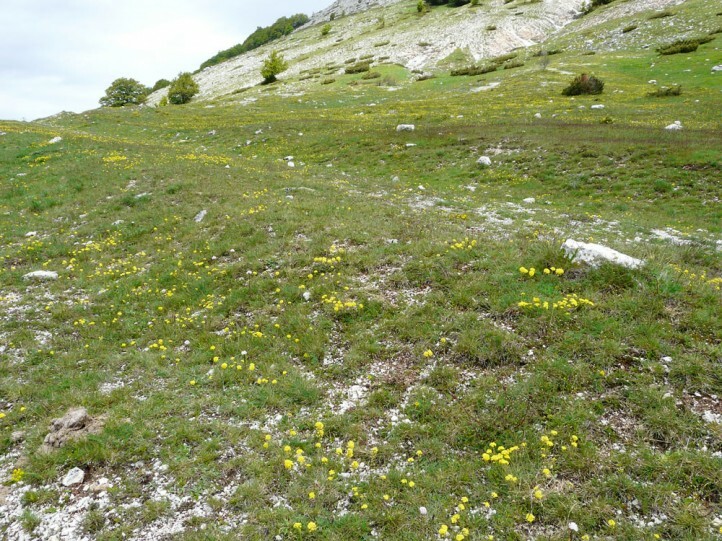 Lemonia taraxaci inhabits extensive, little and not thoroughly mowed or weakly grazed, not too nutrient-rich meadows. 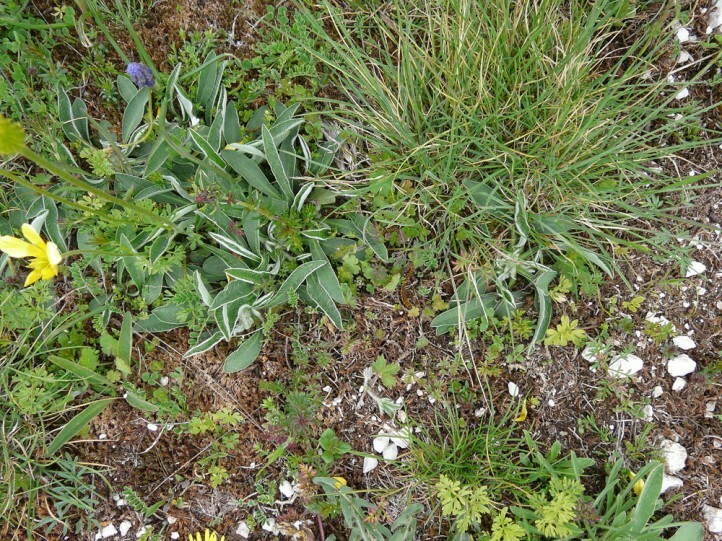 These can be situated in medium high mountainous areas (western Swabian Alb, Balkans), or even in the high altitudes of the Alps (up to 2500m above sea level). 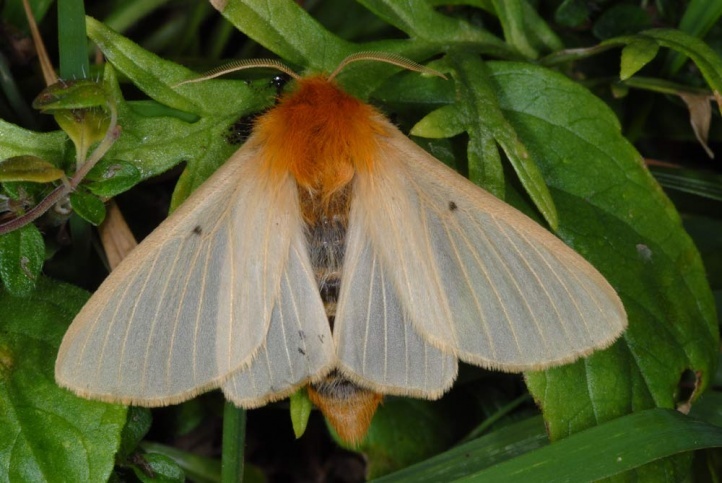 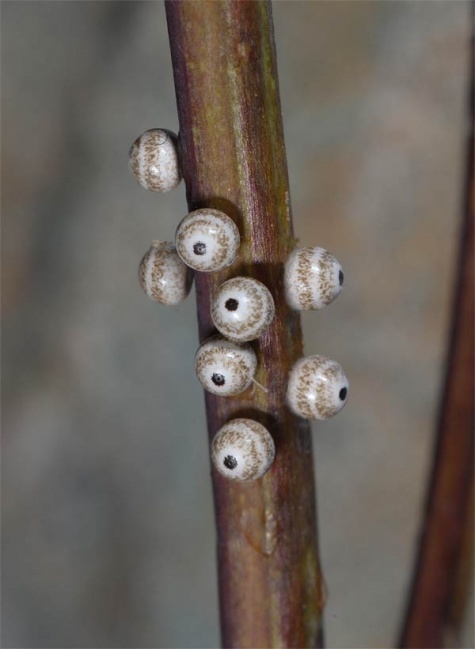 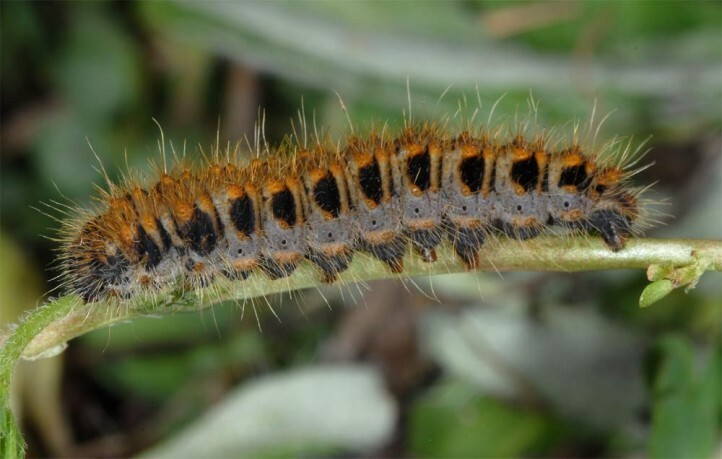 The eggs overwinter attached to stalks and stems (hence tolerates no intense mowing) and the caterpillar lives until June, in the Alps sometimes even until late July or early August. 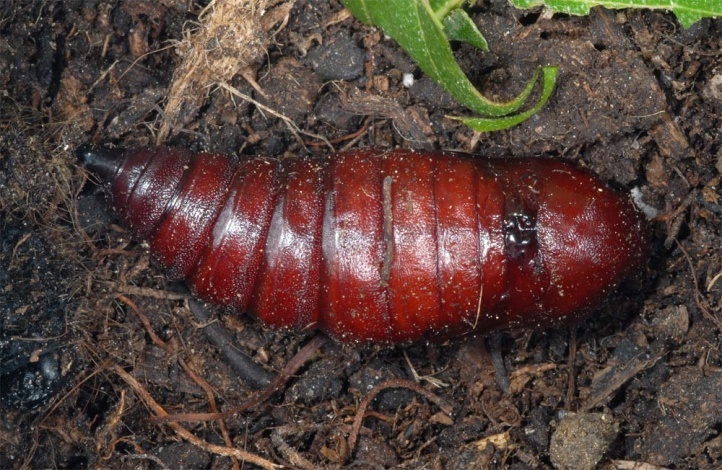 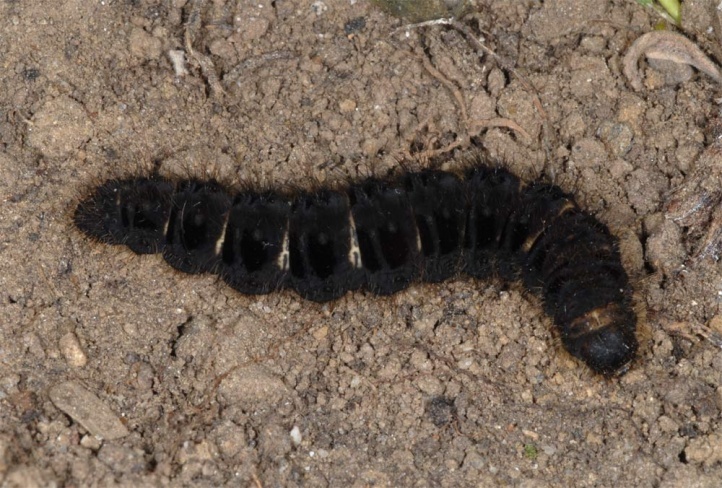 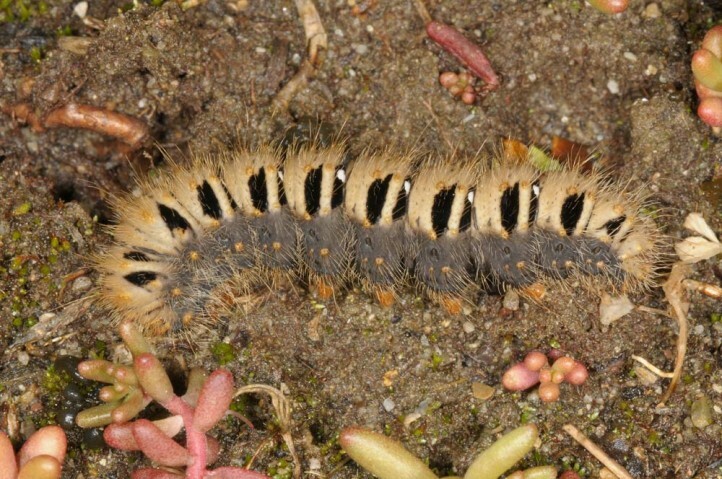 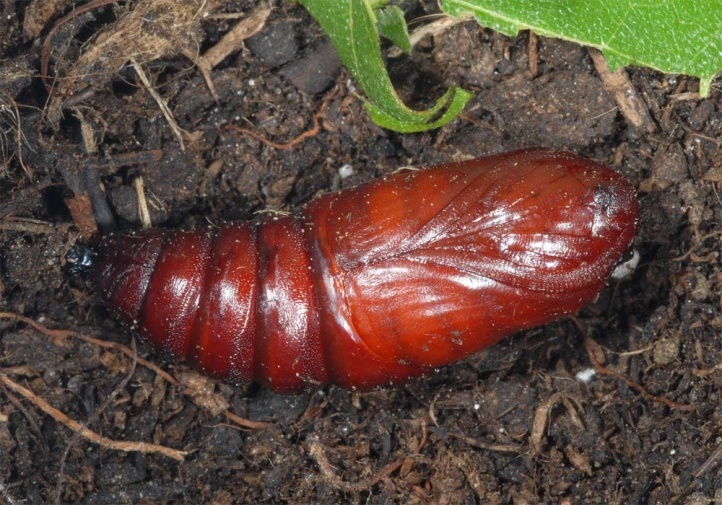 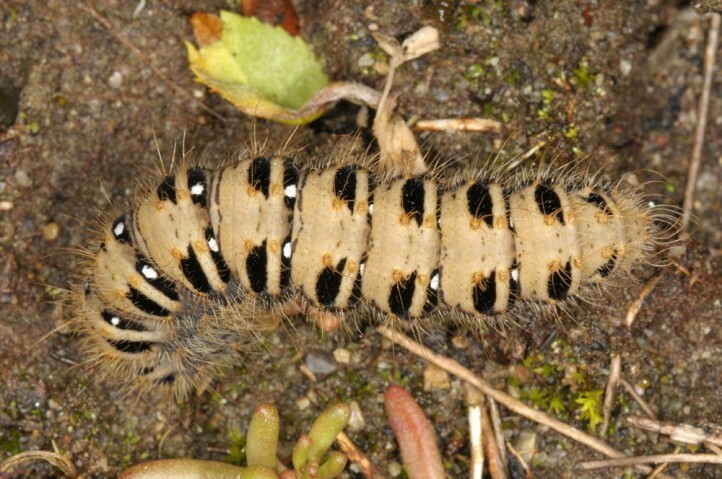 The older caterpillars dig tubes into the ground, into which they retire at times (as in bad weather). 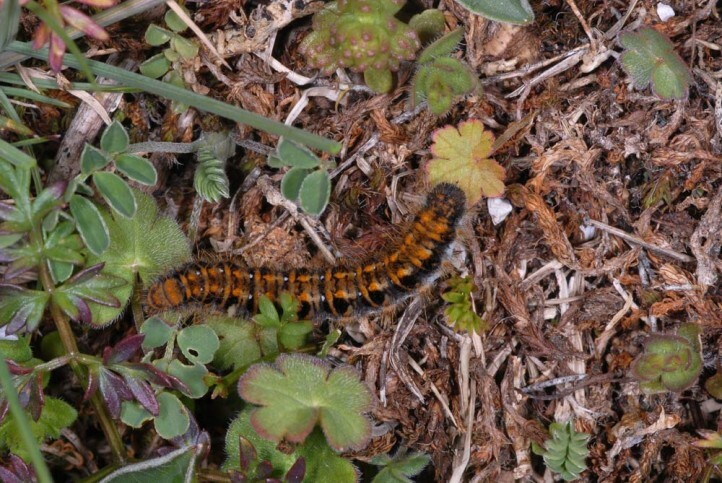 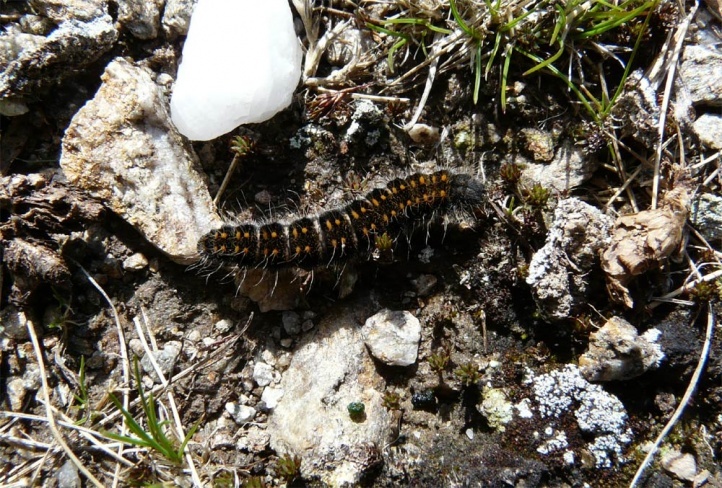 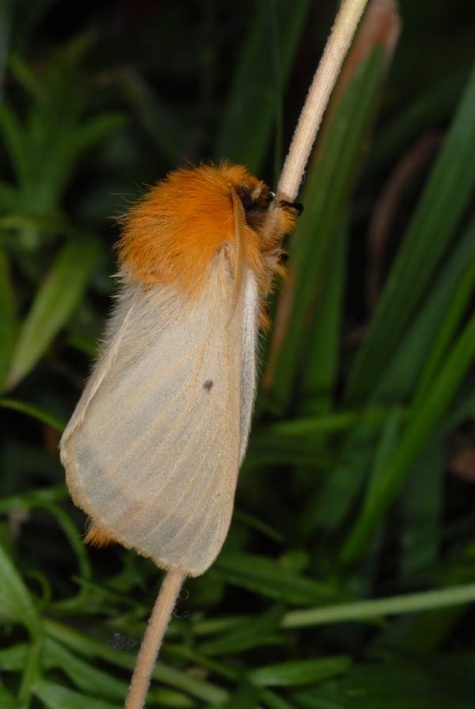 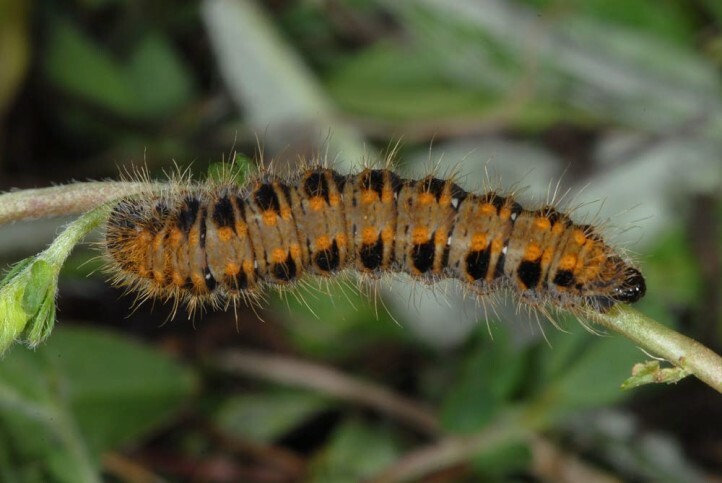 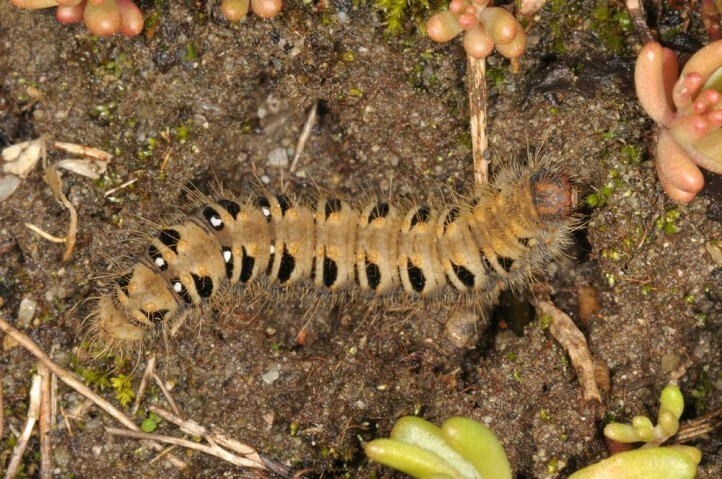 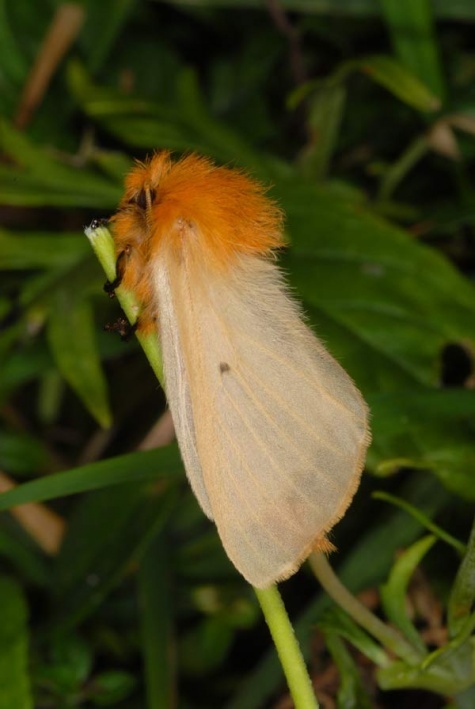 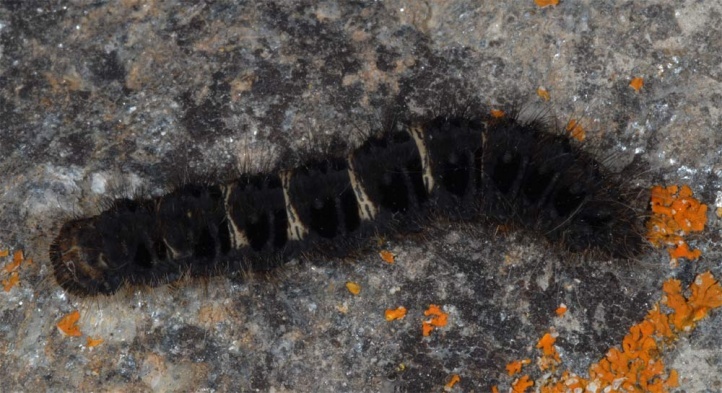 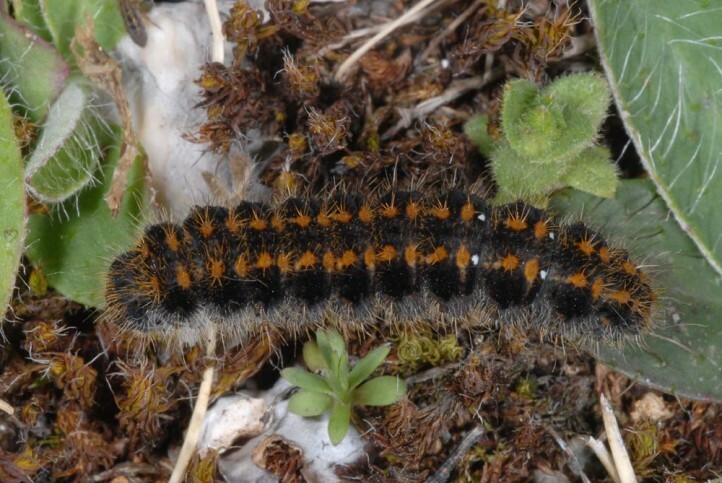 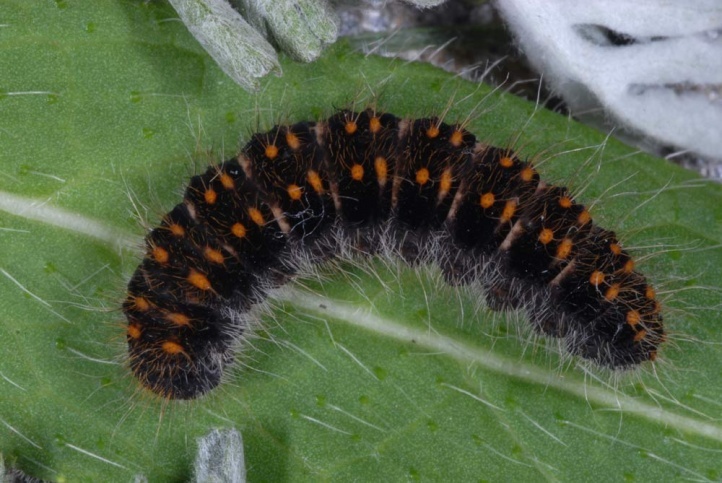 I found a half-grown caterpillar in early July 2008 at over 2200 meters above sea level in the Valais during the day among dozens of mature larvae of Euphydryas cynthia, Melitaea varia and Parasemia plantaginis on the ground half concealed among grasses. 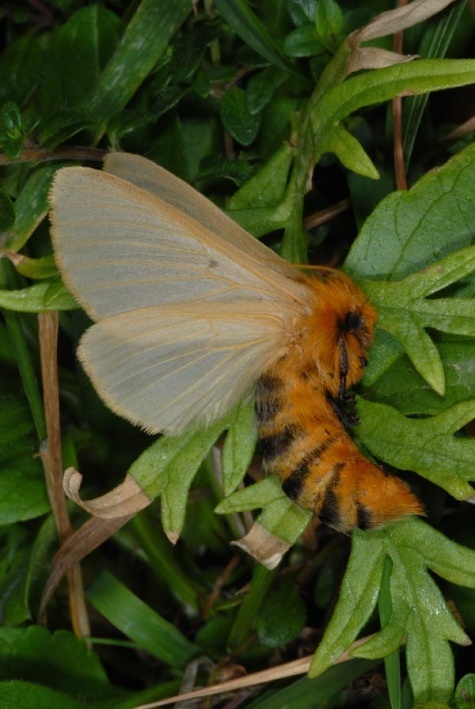 Lemonia taraxaci is critically endangered in the lowlands and has declined extremely for example in the Swabian Alb. 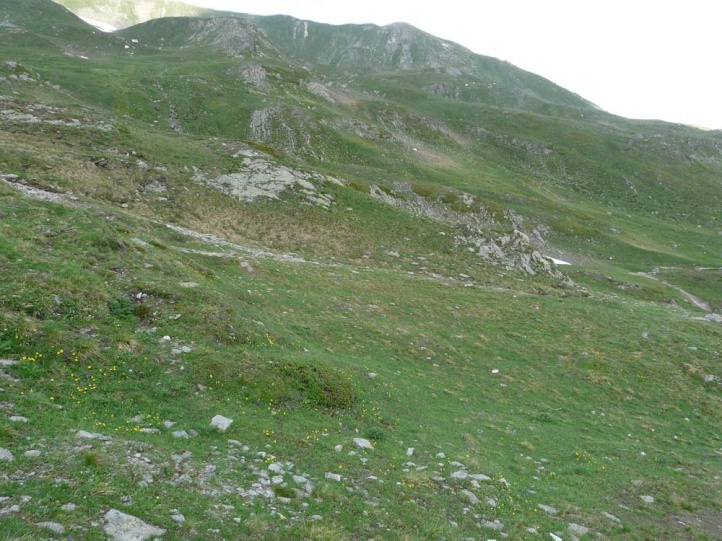 In the highest range of the Alps, it is still less threatened. 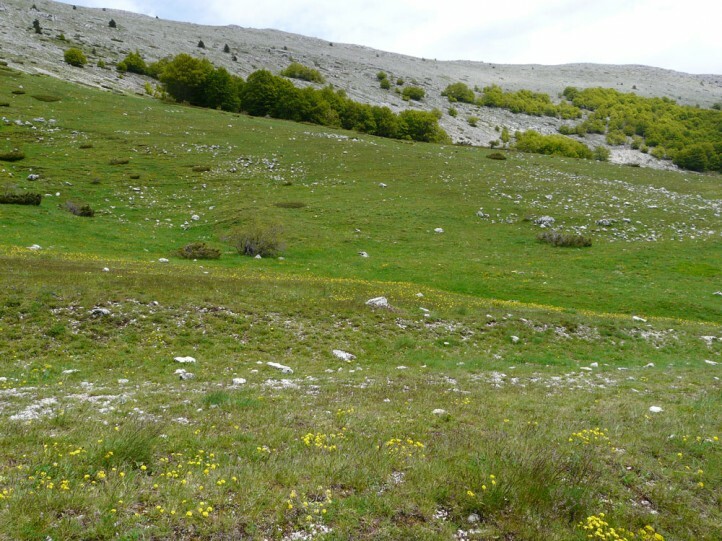 Today's distribution extends from southeastern France across the Southern Alps and parts of the Central Alps, the western Swabian Alb (last record there prior to the year 2000) and the Apennine and Balkan Peninsula (e.g. 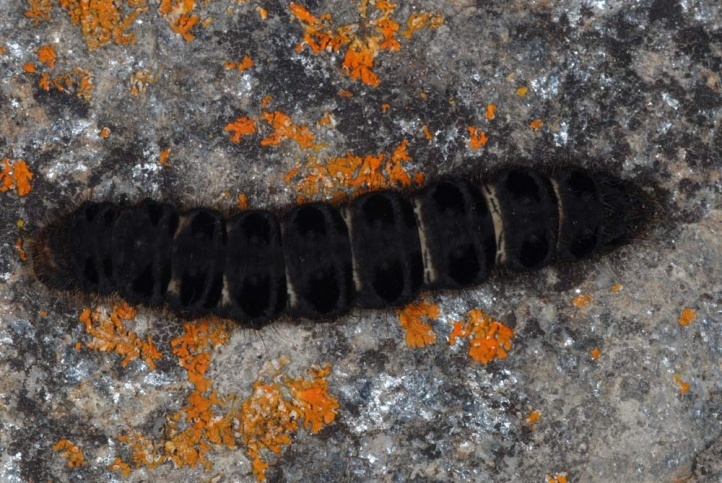 the Greek Pindos) through southern Russia to Siberia.